Middle Class To Millionaire starts with a Foreword by John W. Walter, the Executive Vice President of Trump Management and ends with a useful glossary of terms by Brian O’Connell, New York Times bestselling author. But, it’s the pages in between that matter the most. Frederick J. Bart writes in such a relaxed style that the reader might momentarily forget that the topic is personal finance. Unlike other books on the subject, the reader will turn pages as if reading a novel—while absorbing simple successful strategies to make themself and their children wealthy. The book contains tried and true techniques that propelled the author from Middle Class to Millionaire, by making changes in savings and spending habits. Suited for anyone from high school age or older it also makes an excellent gift. 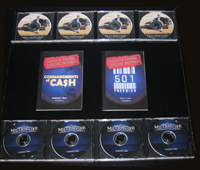 If you are ready to become a millionaire, then the Rapid Road to Riches consutling and coaching is for you. What it costs in money, it saves in time, mistakes, and energy. Have Frederick Bart coach you to seven figure wealth. He will personally review your financial information and offer information customized specifically for you. Most importantly, you will have private telephone conversations with Frederick Bart to discuss tips and techniques, ask questions, and monitor progress. Accelerate Your Financial Progress With the “MAKING MILLIONS” Newsletter. Each month a “mini-chapter” delivered to your inbox to devour and digest in a single sitting. Each subscription is guaranteed to yield thousands of dollars in information. Written by Frederick J. Bart in the same, easy-to-read style and packed with the same easy-to-implement information you’ve come to expect. The package, Make a Major Move, meets the needs of someone who appreciates the importance of the information in the book, Middle Class To Millionaire, but understands that more tools will produce faster results. This person prefers the flexibility to skip reading one evening to watch a DVD (on a different topic) instead. Investments don’t cost; they pay.